Promise rings for men may seem like an outdated tradition (I mean, it’s been a long time since we saw the Jonas brothers rocking purity rings). However, promise rings still hold a special place in the commitments of many couples to each other. 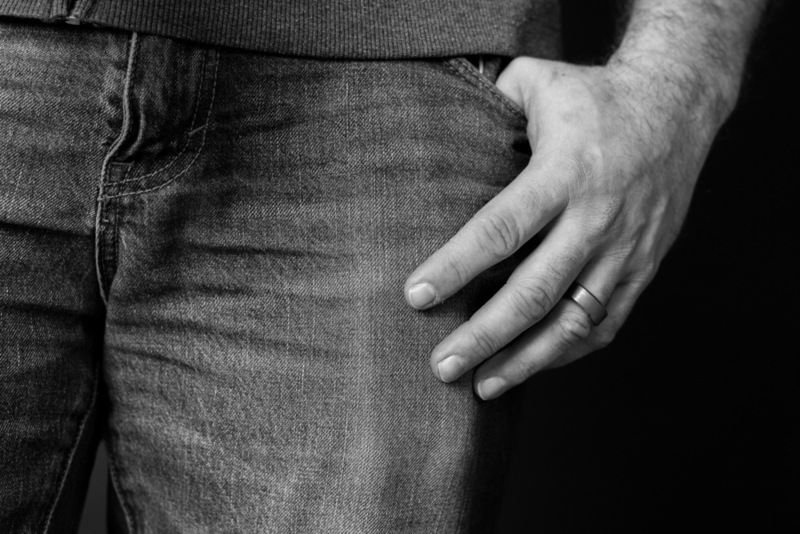 While some men opt for a unique one-of-a-kind design, others seek out a refined ring style. The ideal ring should be a design that the wearer won’t outgrow as trends change and that will adapt to the lifestyle and unique tastes of each man. 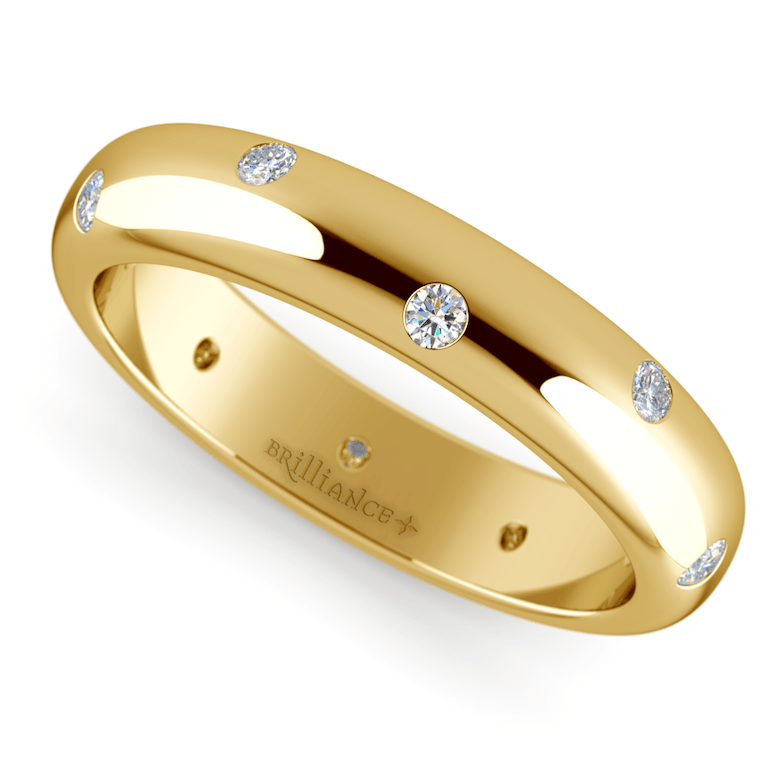 Whether the metal is gold (yellow, rose or white), platinum or even silver, the classic band remains a timeless choice. While older styles of bands eroded over time to reveal a sharp and uncomfortable edging, new styles called ‘comfort’ bands feature smooth edges that mold to the finger. Comfort bands come styled either in modern flat designs or a traditional domed style. This unique ring is designed by creating a raised center section within the band, giving the final product an edging that resembles a step. Bands can be designed with polished metal that is bordered by brushed metal to create a refined, but modern, look or may simply be designed in a classic polished metal. 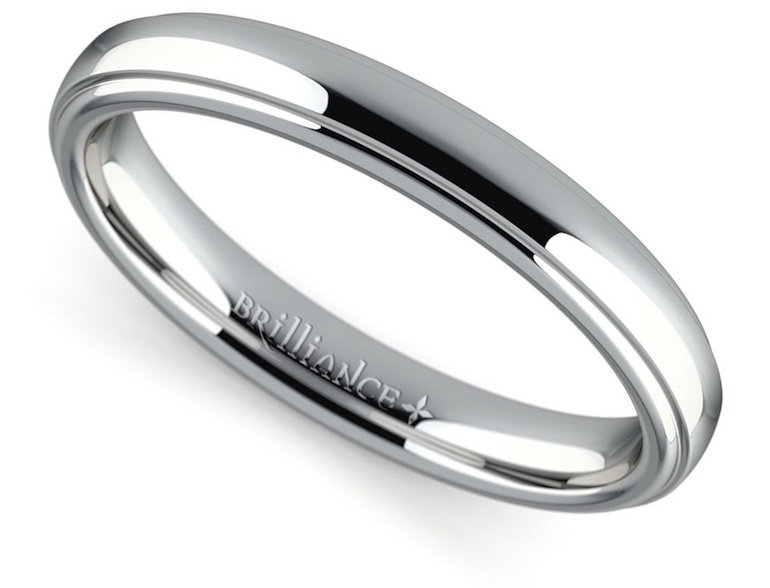 Solid metal rings feature contrasting decorative inserts nestled in the heart of the band. Decorative options that are inlaid include a cord design created from a contrasting or complementary metal, mother-of-pearl, wood, and red opal. Custom inlaid designs create a wow-factor without sacrificing the timeless appeal of a simple band. 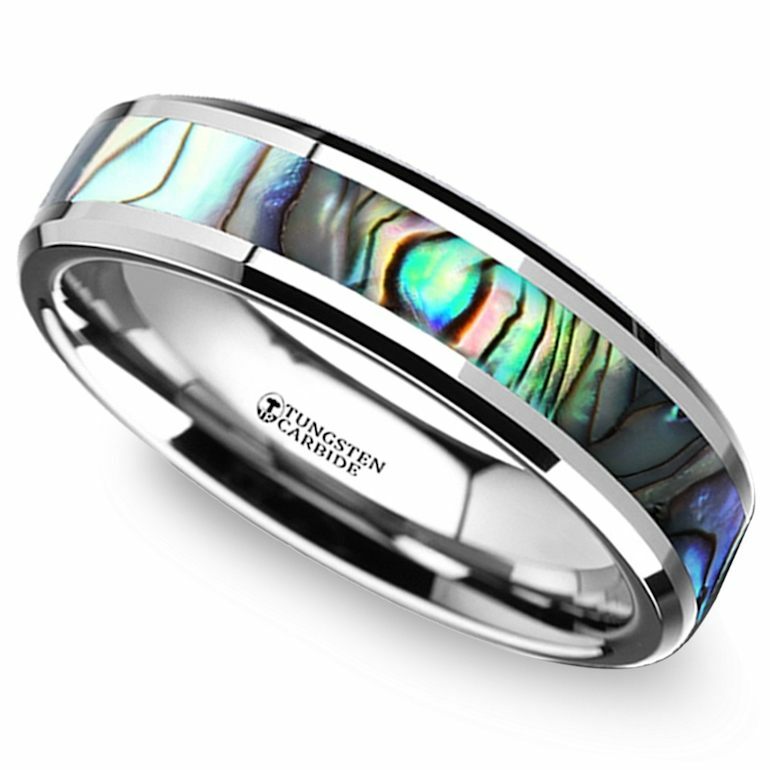 Check out this Mother of Pearl Inlay Men’s Ring from Brilliance! Diamonds aren’t just for women. A single diamond can be set within a men’s band to add a gleam of elegance. Setting the solitaire flush to the left or right on the band provides an avant garde touch to a classic design. 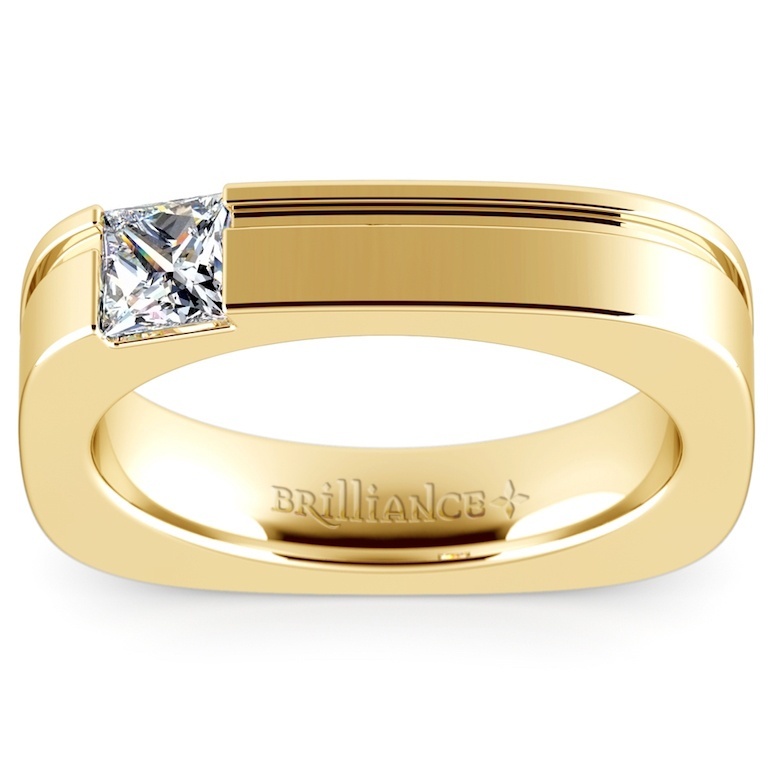 Check out this Achilles Princess Diamond Solitaire by Brilliance! 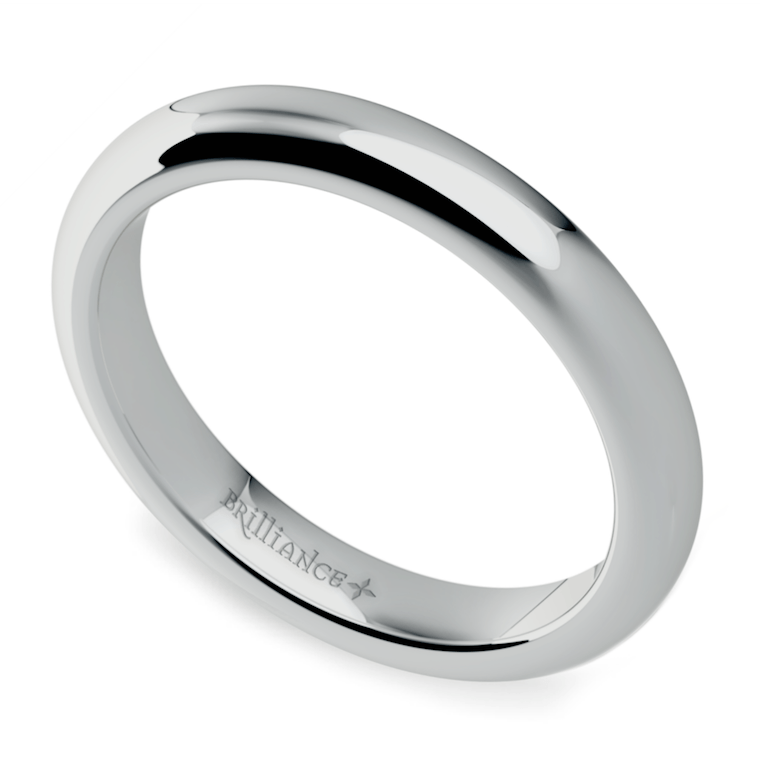 Adding an engraved message or design provides a personalized soupçon of romance to any ring. 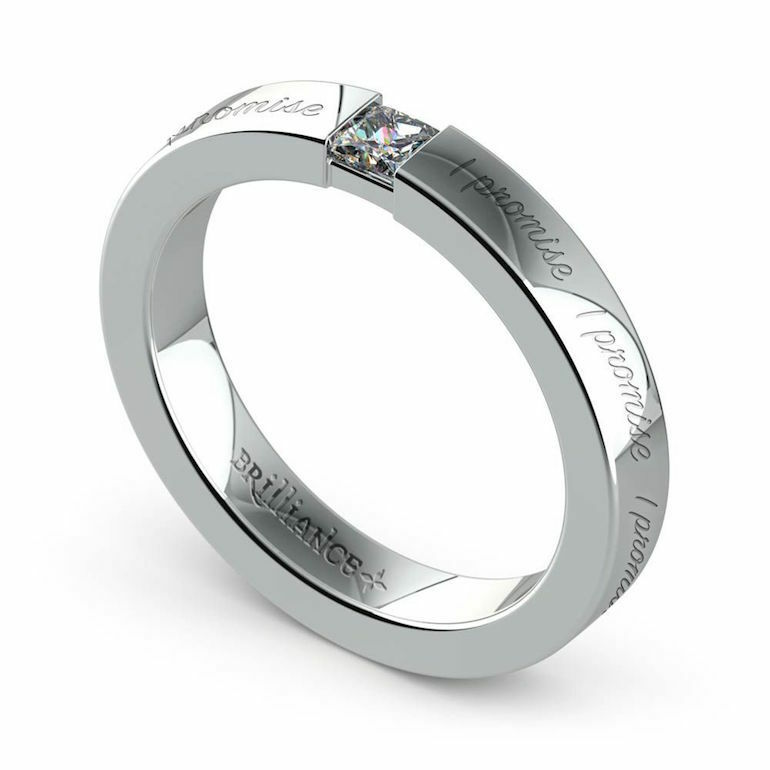 For promise rings, engravings can include a special quote, religious verse or the couple’s initials. Knots or bows create a unique–yet still traditional–choice for a promise band. 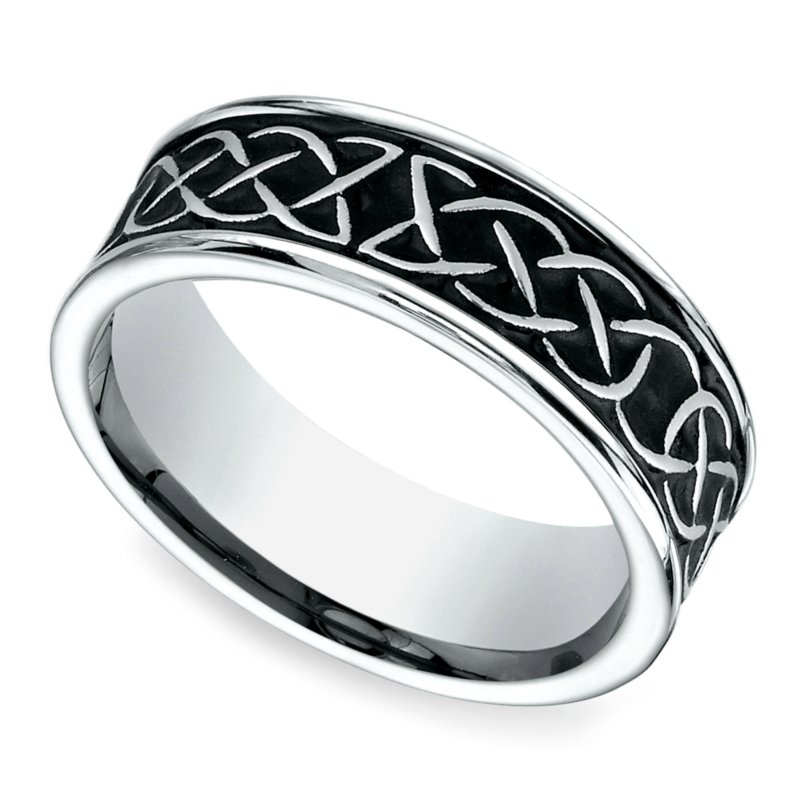 Celtic knots have remained popular for hundreds of years and will continue to endure for hundreds more. In fact, they have been enjoying a surge in popularity among men’s jewelry recently. Each knot design has a different meaning, so select a knot that speaks to the heart of the couple. While many men won’t opt for a diamond infinity ring, the use of the infinity symbol as a ring design is a classic and symbolic choice for a man’s ring. Infinity’s symbolic meaning of forever mirrors the sentiment of the promise. Promise rings—like all fine jewelry—are an investment. Selecting a ring that withstands the evolving trends of fashion ensures that the ring can be worn for a lifetime. Even if a couple moves onto an engagement or marriage, the ring can be worn on the right hand as a symbol of a promise kept.